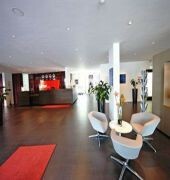 Airport nearby Situated in the city center, this hotel is close to Basler Messerturm, Basel Town Hall, and Basler Munster. Area attractions also include Spalentor. Fitness facilities In addition to a bar/lounge, Best Western Hotel Stuecki provides a business center, complimentary high-speed (wired) Internet access, and laundry facilities.The quiet rooms are all air-conditioned and feature a flat-screen satellite TV, a refrigerator, and a tea/coffee maker. Guests benefit from large work desks and modern media technology. 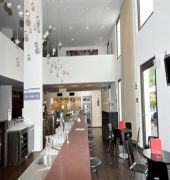 The bathrooms include spacious shower cabins with rain showers.Best Western Hotel Stucki features an elegant lounge bar with a terrace and an internet terminal in the lobby. Guests can play billiards and tabletop football.There is an underground car park with reserved parking spaces and a bicycle storage room. A limited number of bicycles are available free of charge.The Kleinhuningen Tram Stop is a 5-minute walk away. Tram line 8 provides direct connections to Basel Main Train Station. 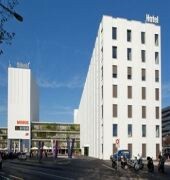 Hotel Stucki is in the immediate vicinity of the Messe Basel exhibition area and the headquarters of the big pharmaceutical companies.On arrival, guests receive a Mobility Card for free use of public transport. The booking confirmation serves as a public transport ticket on the day of arrival.